Our Head Coach, Kateryna Logachova, has been coaching National and International level gymnasts at PRG since 2005. After 15 years of being a Rhythmic gymnast and competing at International Level, Kateryna studied sport science and coaching for four years, graduating from the University of Sport and Fitness in Kharkov, Ukraine. 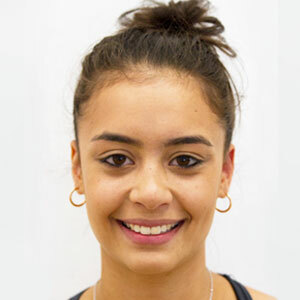 As a Senior International Rhythmic Gymnast, she has achieved a Master of Sport award. Kateryna coached in Ukraine before moving to Australia where she joined GV’s High Performance Centre. She is a Gymnastics Australia accredited High Performance RG coach. In 2017 Kateryna obtained FIG (International Gymnastics Federation) Category 3 RGI (individual) and Category 4 RGG (groups) judging qualifications. Currently Kateryna is highest ranked RGI Judge in Victoria. Kateryna also holds a Teaching degree. She has been selected as a Victorian RG State Team coach since 2006 and coached three girls who represented Australia at the 2013 New Zealand championships. In 2013 Kateryna received the award from VicSport "Coach of the Year". 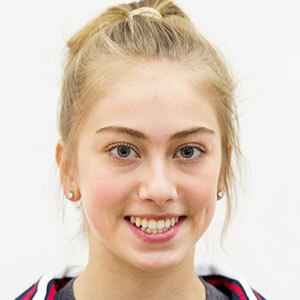 Many of her gymnasts received podium placed with their medal-winning performances in both national and international competitions. Kateryna is coaching gymnasts from Level 10, Pre junior, Junior and Senior, as well as supervising all club’s gymnasts and coaches at PRG. 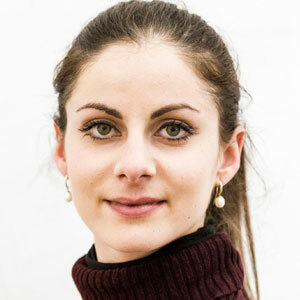 Alicia Regula, originally from Spain, is an ex-rhythmic gymnast. 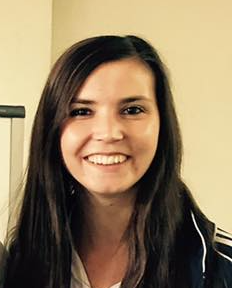 Alicia has FIG 3 level coaching qualification and coaches subjuniors, prejuniors asnd levels 6-9 at PRG. Alicia is also a beginner judge. Taylor Tirahardjo, is a qualified Intermediate coach and she started coaching at PRG in 2015. Taylor has been a competitive Rhythmic gymnast for 12 years. She has been a part of the Australian National team for 7 years and represented Australia at the Australian Youth Olympic Festival in 2009, Pacific Rim Championships in 2010, 2014, Youth Olympics in 2010 and 2011 World Championship, World Cups and international competitions. Taylor won a number of State and National titles as a Junior and a Senior and GV Senior Gymnast of the Year Award twice. Anna Logachova has being working with PRG since the start of 2015. She is coaching beginner level. Anna is currently an Elite Senior International Rhythmic Gymnast. She is training 24 hours a week. Anna has being selected as a member of the Victorian RG State Team every year since 2009. Anna was a finalist and a medalist at Australian National Championships. She was a silver medalist in the international tournament in Ukraine and bronze medalist in Spain. Anna recently trained in Russia with international experts. Masha Peker, born in Ukraine Masha Peker commenced her ballet training at age 5. After immigrating to the U.S.A and eventually settling in Australia, Masha received her diploma of dance at the Australia Conservatoire of Ballet under the direction of Christine Walsh. Masha's experience includes a number of performances with Opera Australia, featured roles in ACB's Swan Lake, Paquita and Ritualism, St Petersburg Ballet Theatre's Swan Lake and current performances with MDT and Melbourne Ballet company. As a non-profit organisation, we try to keep a low gymnast to coach ratio at all levels, particularly as the gymnast moves up to higher levels. For beginners and Level 1 gymnasts, we put a limit on the size of the class to a maximum of 15 gymnasts per coach. For Levels 2 & 3, this goes down to 10 gymnasts per coach and at Level 4-6 it goes down again to 8 gymnasts per coach.